Photos and videos such as these appeared in social media today, setting off a protest that still continues. BHS Band in the parade. You guys did fantastic! You get the idea. Hundreds of "Biloxi Indians," the school's team name, marching in stereotypical Plains headdresses. Mass Display of Non-Natives in Headdresses--and No, It's Not Coachella[A] reader alerted us to another mass display of non-Natives in headdresses, at the opposite end of the continent. In Washington, DC, the National Cherry Blossom Festival concluded on Saturday with a parade that featured dozens of headdresses. The wearers weren't hipsters, or new-age hucksters, or supermodels -- they were high school students from Mississippi. The Biloxi High School marching band, which supports the school's teams, the Biloxi Indians, took part in the parade wearing their typical uniform, which includes a feather headdress. It's not one mascot wearing a feather headdress, or a drum major or majorettes in the headdresses. It's every member of the band. You can see some less-than-sharp photos of the parade on the Biloxi High School Band and Boosters Facebook page, but there are better ones on the Biloxi Public Schools page, which is where we found the images below. It's one thing for adults going to a music festival to wear headdresses. Let's face it, there are jerks in this world who aren't going to respect other people or their cultural traditions. But this is engrained disrespect. This is a uniform that everyone in the band must wear. If you want to play the trumpet and represent your school, you have to wear an item that is sacred in many Native cultures. If you want to support your team--the Indians remember--with your musical talents, you have to dress in a way that upsets many real-world Indians. 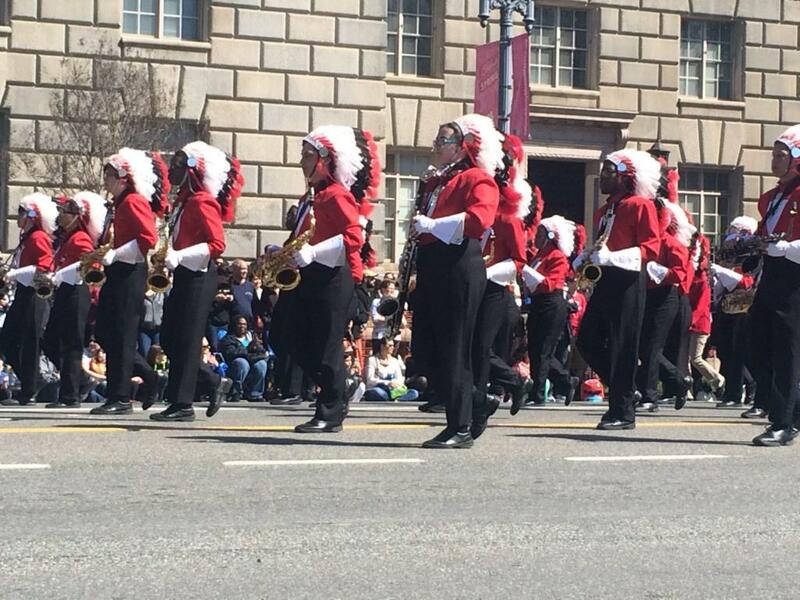 Are these teenagers aware that they're trivializing something that many American Indians hold dear? Are Biloxi High School administrators aware that many Native Americans will be deeply offended by the manner in which they show their school pride? We'd like to believe that people are born respecting each other, and that cultural insensitivity (and more extreme forms of prejudice and bigotry) are learned behaviors. Teenagers are fertile minds, they're learning behaviors every day. What are these boys and girls being taught about respect for Native people?